Here’s another great read about Tim Tebow. I know, I know some of you who read my blog are like…Katie, get over it. He’s just a normal football player who loves Jesus but for those of us who have children who we want to have the RIGHT kind of role models in life, this is a guy that I can’t wait to tell Owen about someday! 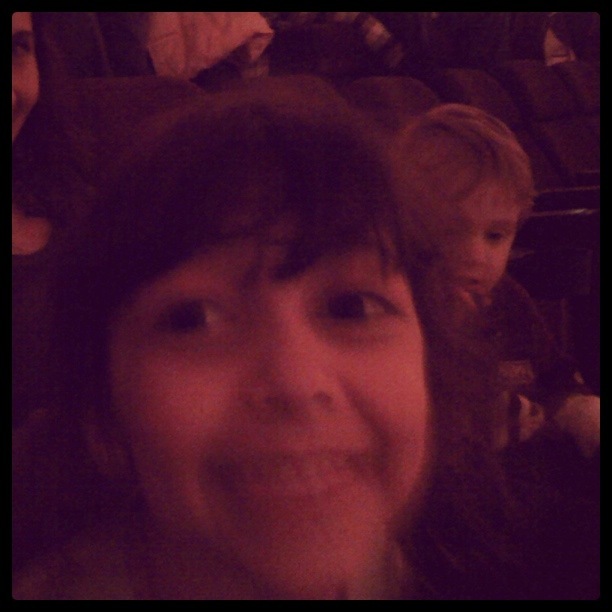 Last night I took Addy (with some friends) to see The Polar Express at the IMAX theater. We had a great time and the kids enjoyed it (well most of it…it was really loud and VERY big). I am, however, looking forward to taking Addyson to movies there in the future! So this past Friday we went to see the Christmas lights and decorations at the Gaylor Texan in Grapevine, TX (also known as the Christmas capitol of Texas). We had a great time looking at the lights and beautiful decorations throughout the drive and walking through the Gaylord. The drive to the Gaylord was an eventful one…Justin and I almost always disagree about the best/fastest ways to get to places throughout the metroplex but we always discuss and end up in the same place so this time I let him take the LONG way around and it proved to be the LONG way! We got stuck in stand-still traffic for about 20 minutes (due to an accident) and it provided just enough time for Owen to get bored enough to gag himself and puke all over his clothes and seat so I climbed back into the backseat and tried to clean him up as best as I could. Of course I grabbed the back-up backpack to take on the day’s journey (because it is bigger than our everyday bag for Owen and I wanted to pack snacks and extra stuff for the trip) but because I changed to the back-up bag I did not pack an extra set of clothes for the little guy (there’s a standing outfit in his everyday bag). So not only did we have to sit in traffic but we had to swing through a Wal-Mart along the Highway route to the Gaylord. It was soooo busy that I ran into Wal-Mart, grabbed 2 shirts that were stacked on sale and a pair of pants and stood in line for 20 minutes to check-out. I couldn’t believe they were that busy a full week before Christmas. Once we arrived at the Gaylord we parked, dressed Owen in his new clothes, and loaded up in the double stroller to head across the way into the Christmas beauty that is the Gaylord. I’ve included all the pictures below from our time there. Some of the really unique/cool things we saw were the life-size Gingerbread house (with details below), the reindeer all carved out of trees and bushes throughout the walkway, the huge tree in the center, Santa, and a quick look at the Riverwalk area. Hope you enjoy! So I read the Weekly News Roundup on Mark Driscoll’s blog pretty much every Friday. And two Fridays ago I read an interesting link he posted so with the Holiday spirit I thought I’d post it as well. 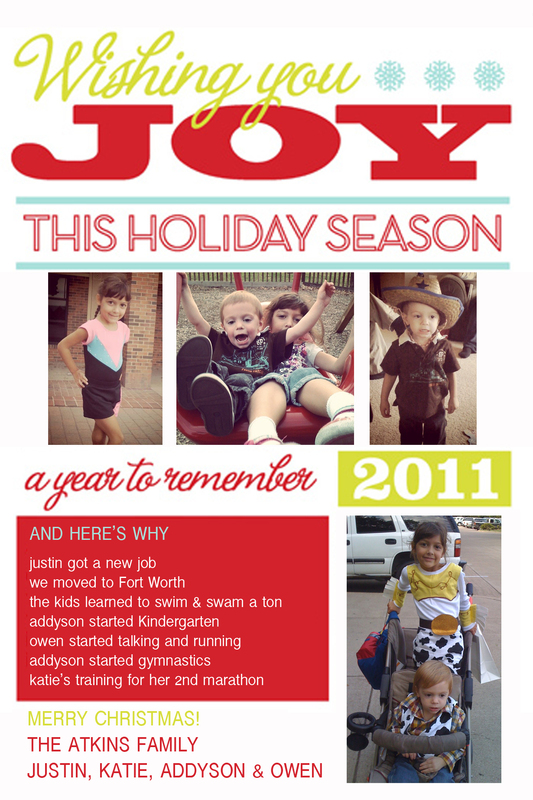 So…many of you will receive this card via the friendly United States Postal Service but I wanted to post it anyway :). 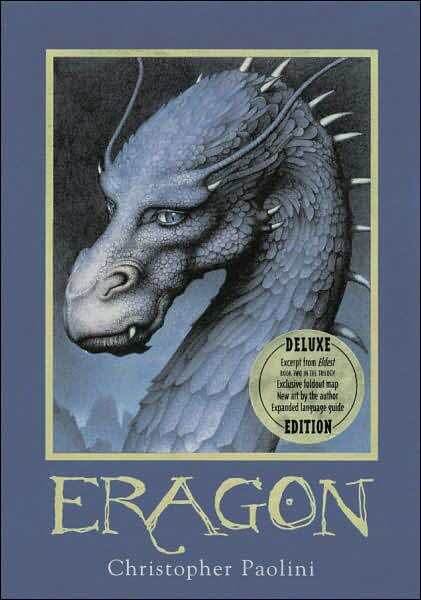 So this is the first book in a series by Christopher Paolini, who wrote this book at the age of 15! Yes, 15! It is a 544 page book that is simply the FIRST book in a series of FOUR. I am blown away by his writing and could not put it down. I am reading the sample chapter (of the second book) provided by Amazon on my Kindle until I can get the book from the library. Fifteen-year-old Eragon believes that he is merely a poor farm boy- until his destiny as a Dragon Rider is revealed. Gifted with only an ancient sword, a loyal dragon, and sage advice from an old storyteller, Eragon is soon swept into a dangerous tapestry of magic, glory, and power. Now his choices could save – or destroy- the Empire. So we’re in the midst of praying about possibly building a house again. We’ve met with a few builders in the area and are now just praying and talking about what we think would be best for our family. We went and looked at a home that has been built and is on the market but has some upgrades we probably wouldn’t do and has some square footage we would probably like to do a bit differently. Anyway for those of you that are keeping up with this search here are some pictures from that house. We’ve had a great time looking at Christmas lights in Fort Worth this Christmas season. This past weekend we went downtown to see the buildings lit up along with the big tree. We didn’t know that Santa was there too. The lines were WAY to long to go see him and Addyson saw him at the mall after Thanksgiving so we were good anyway. We also went by an amazingly decorated house. I tried to get some pictures but they have police and cones up so you can’t slow too much or stop.